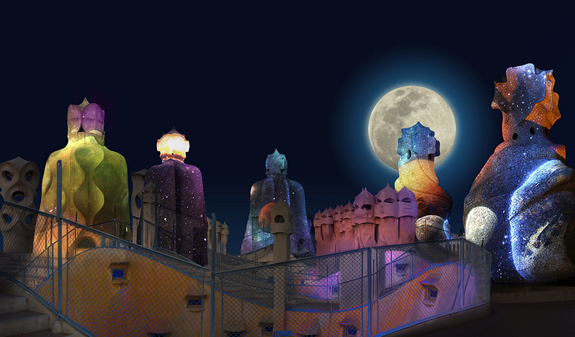 Whether you have previously visited La Pedrera or if you have been for the first time you'll discover how it changes at nightfall when the building is transformed and its magical silhouette plays host to a new and mysterious nocturnal landscape, as if in a forest, in the desert and, Antoni Gaudí's great muse, nature. An unforgettable experience you can't afford to miss!. 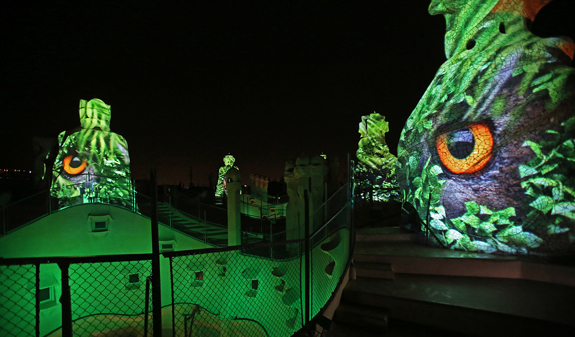 Barcelona is a city that is transformed when the sun sets and it is enshrouded in a certain magic and mystery. It is then that its buildingsreveal other attractions? and perhaps the most charming is a masterpiece by Antoni Gaudí. 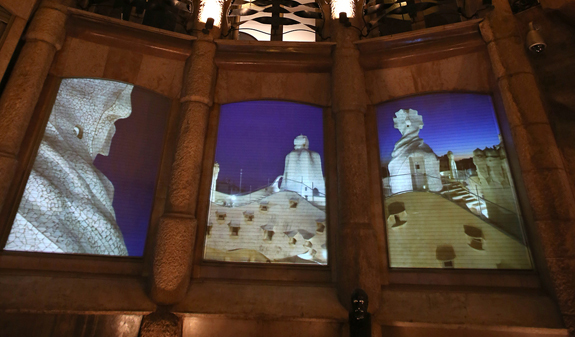 We invite you to discover the Casa Milà at night! This intimate and exclusive visit will reveal the secrets the building hides when night falls.You'll be a privileged eyewitness to lives, customs and anecdotes about the people who lived in this unique building 100 years ago. You'll see that every corner is proof of Gaudí's imagination and genius, although he never relinquished the functionality of each space and element. Twisting corridors that will transport you inside a cave; the sea's waves that conceal peaceful marine life; wrought-iron cobwebs; chimneys resembling giant warriors; and a plethora of forms waiting to be discovered where stone and materials come to life in a magnificent dance of details. 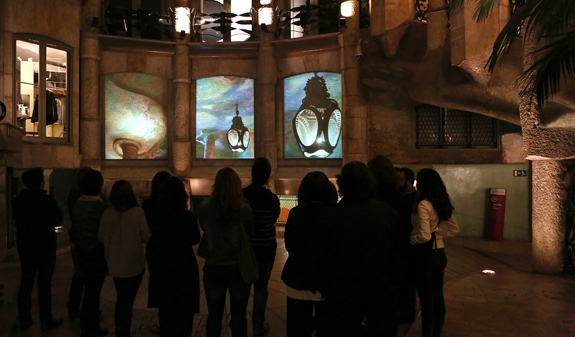 An unforgettable journey to the origin of life and the essence of Gaudí's architecture. 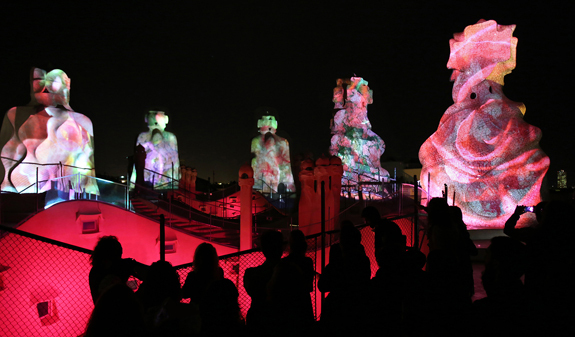 Amazing audiovisual display on the rooftop of La Pedrera (mapping), screenings in different spaces, tours of the building's most outstanding spaces (courtyard, Espai Gaudí and roof). Glass of cava and chocolate snacks ("arrugats") at the end of the visit. From 1/1 to 3/1: 9.40pm Spanish; 10pm English. From 4/1 to 2/3: 7pm English; 7:40pm Spanish (from Wednesday to Saturday). From 3/3 to 30/4: 8.40pm English; 9.40h Spanish; 10pm English. From 1/5 to 8/6: 9.20pm English; 9.40pm Spanish; 10pm English. From 8/6 to 10/9: from Monday to Thursday: 9.20pm English; 9.40pm Spanish; 10pm English. Friday and Saturday: 10.20pm and 10.40pm English. From 11/9 to 1/11: 9.20pm English; 9.40pm Spanish; 22h English. 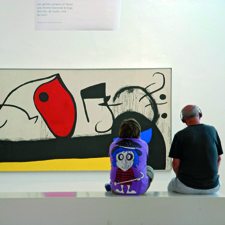 From 2/11 to 24/12: 7pm English; from 8th November at 7.40pm on Wednesday to Saturday in Spanish. From 26/11 to 30/12: 9.40pm Spanish; 10pm English. Closed: 24/12, 25/12, 31/12, 6/1, 7-13/1, 11/2, 27/2, 28/2, 1/3 and 2/3. Length: 1 hour and 15min. Meeting point: La Pedrera. Main entrance Passeig de Gràcia. Metro: L3 and L5, Diagonal stop. 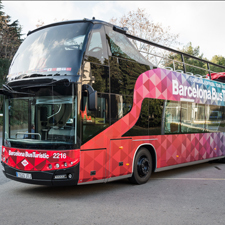 Bus: 7, 16, 17, 22 and 24. Children 0 - 6 years old free. 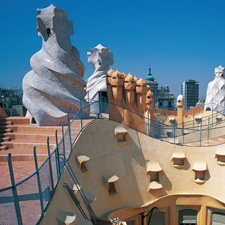 La Pedrera offers accessible resources and services in its spaces and amenities.